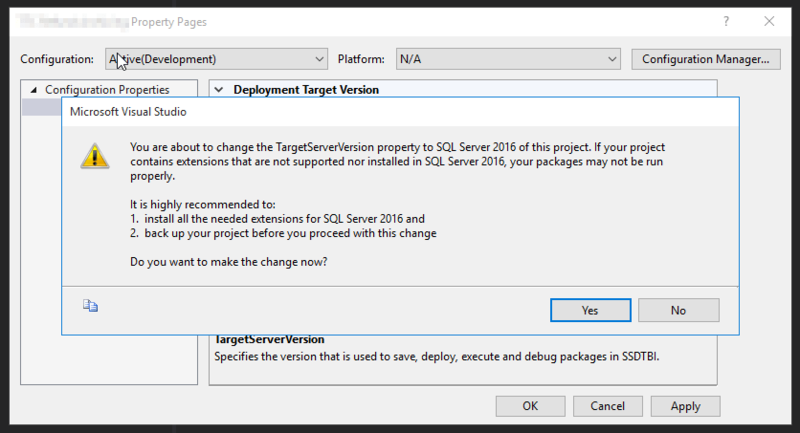 You are migrating your SSIS Packages from an old version SQL Server to a new SQL Server version, it worked perfectly fine before but once it was deployed on the new environment you get an error similar to this one. Message Executed as user: YourDomainYourUser. 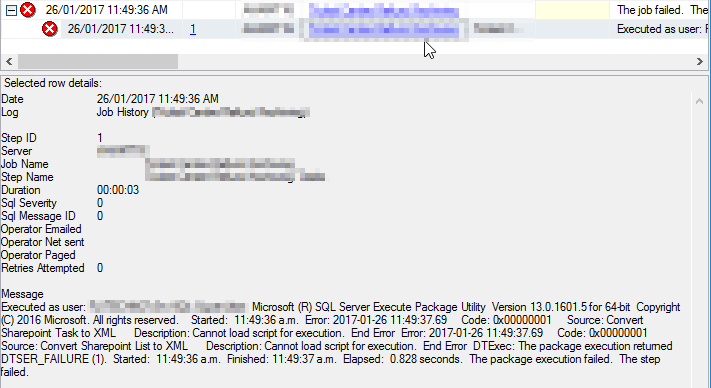 Microsoft (R) SQL Server Execute Package Utility Version 13.0.1601.5 for 64-bit Copyright (C) 2016 Microsoft. DTExec: The package execution returned DTSER_FAILURE (1). The package execution failed. The step failed. 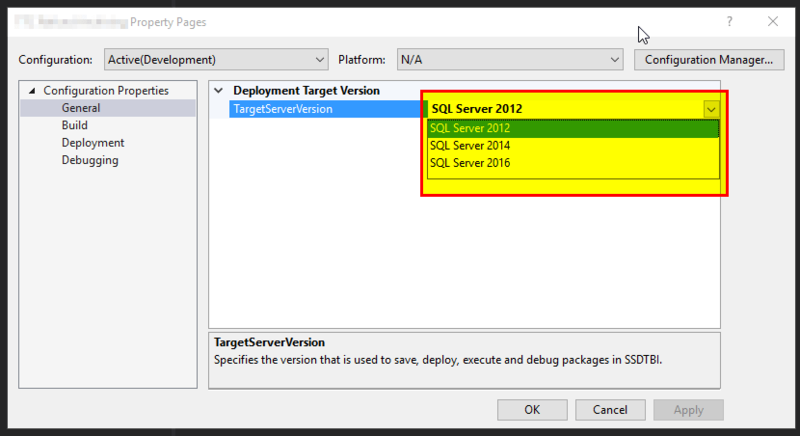 It will then warn you that you need the extensions for the SQL Server version you intend. Click yes, compile then deploy. Your solution will now run again like it did on your old server.